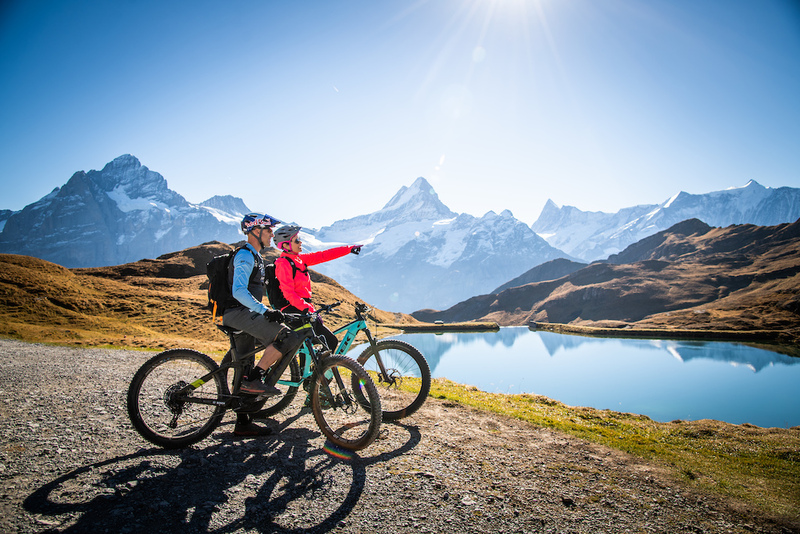 At the foot of the imposing Eiger North Face, Grindelwald is the ideal starting point for E-MTB tours. 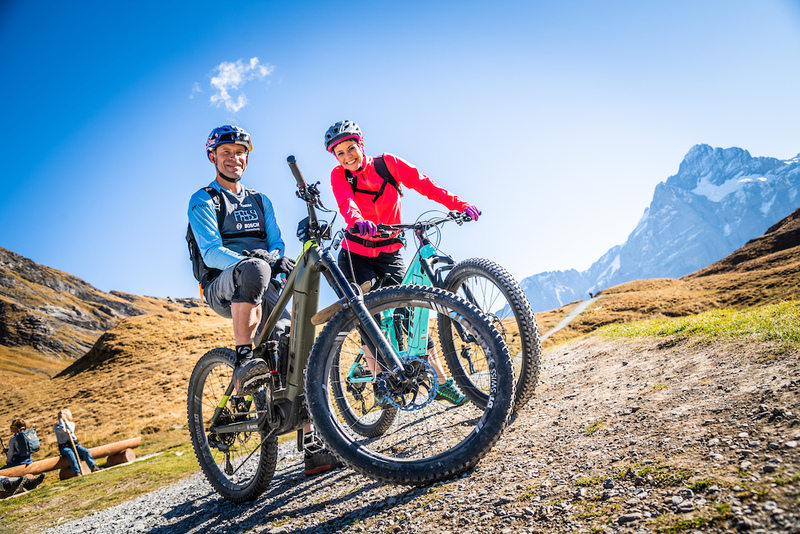 As different as Francine Jordi and René Wildhaber appear to be, the E-MTB destination Grindelwald is just as differentiated. 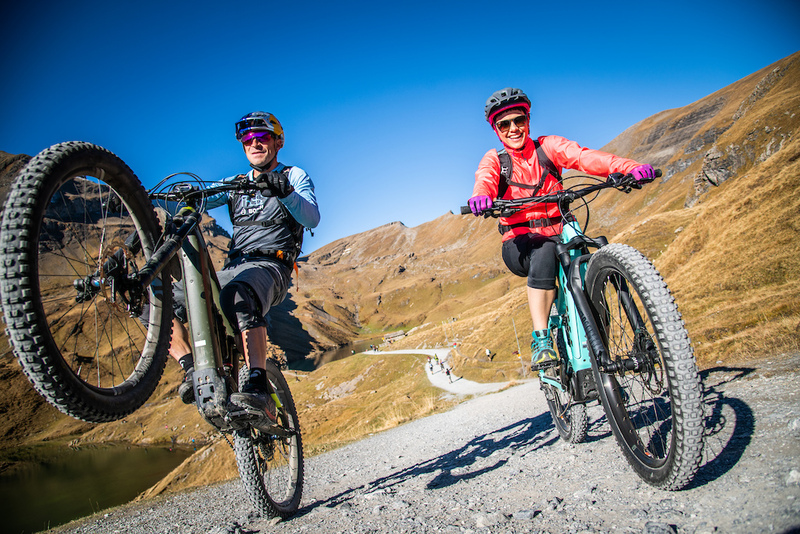 The dense network of paths offers the whole spectrum of riding from car-free asphalt roads, unpaved alpine and forest roads to varied singletrack trails. 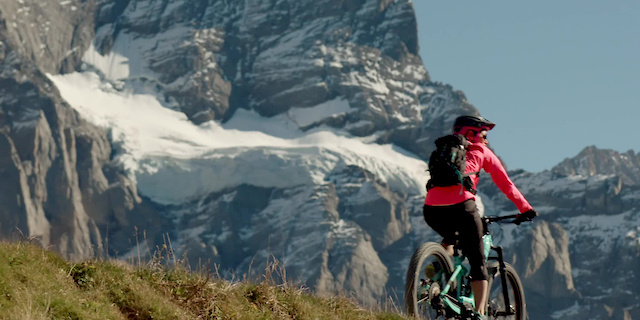 The freeride mountain bike pro René Wildhaber loves the technical challenges on the trails, the pop singer Francine Jordi enjoys the unique mountain and glacier panorama in Grindelwald on her leisurely bike tour. But the great thing about it is that their paths cross again and again. The region simply has something for everyone. Since day trips usually mean more than 1000 metres of altitude difference, the region is predestined to be discovered with the E-MTB. In addition to collecting kilos and metres in altitude and driving fun, the panoramic enjoyment is what counts here! The unique views of the world-famous Eiger, Mönch and Jungfrau triumvirate are breathtaking. This impressive backdrop of rocks, snow and ice makes every bike tour a special experience. We need a separate site for fake mountain bikers.